Live sawn wood floors are sawn straight off the log, allowing for wide planks with a variety of grain patterns. 1. Live sawing is a traditional method of sawing wood flooring that creates a beautiful grain pattern. 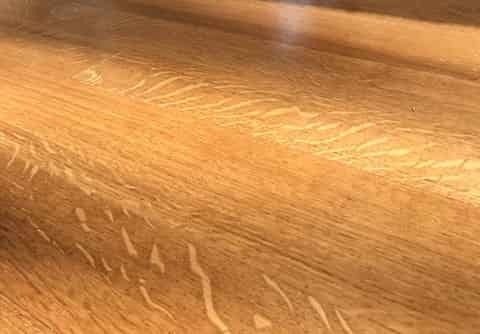 Live sawn White Oak floors are also known as “European center cut floors” or “French Oak floors” because this saw cut was popular in the old world. The saw passes straight through the log from the outside diameter through the heart, creating the widest possible boards and utilizing as much of each log as possible. 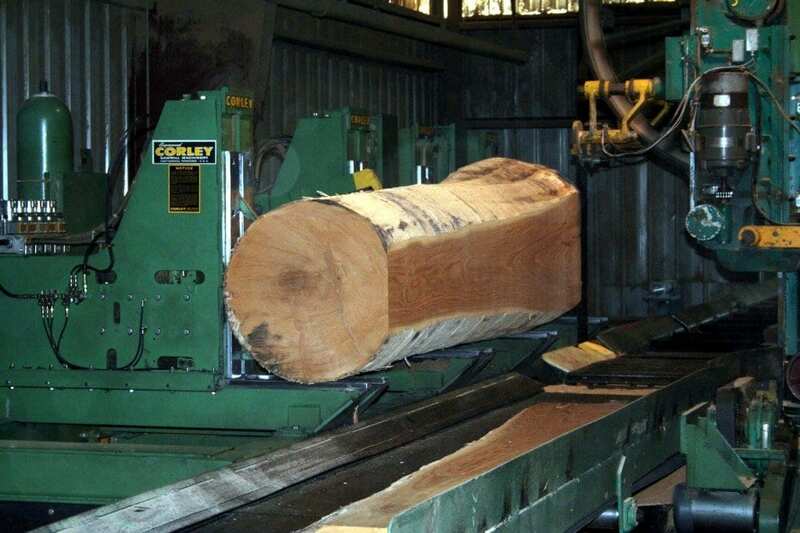 An oak log sits on deck at the Hull Forest Products sawmill in Connecticut. When we are making live sawn wood floors, our band mill makes a series of straight cuts all the way through the log. 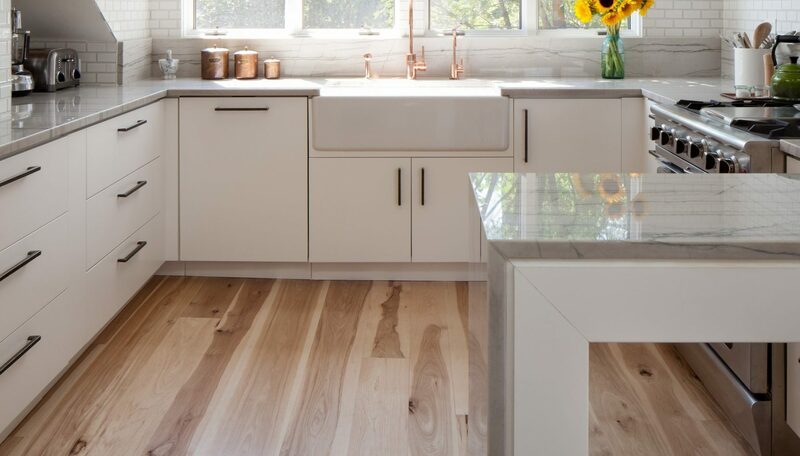 Because each live sawn plank contains a mix of clear and natural grade wood, the flooring is an accurate representation of the inside of each individual tree. Wide live sawn planks include some of each of the grain styles: rift sawn, quarter sawn, and plain (also known as flat) sawn. Illustration 1: This graphic demonstrates the different types of saw cuts and the resulting grain pattern of the boards. 2. Live sawn wood flooring is an extremely durable wide plank flooring choice. Live sawn planks contain both radial grain (grain that runs perpendicular to the growth rings) and tangential grain (grain that runs parallel to the growth rings). This grain mix makes live sawn boards very stable – even at wider plank widths. We dry the floor boards carefully and mill the backs with stress relief to prevent cupping. As a result, we confidently offer our live sawn White Oak solid wood flooring in widths up to 14 inches. 3. Live Sawn White Oak floors are environmentally friendly. 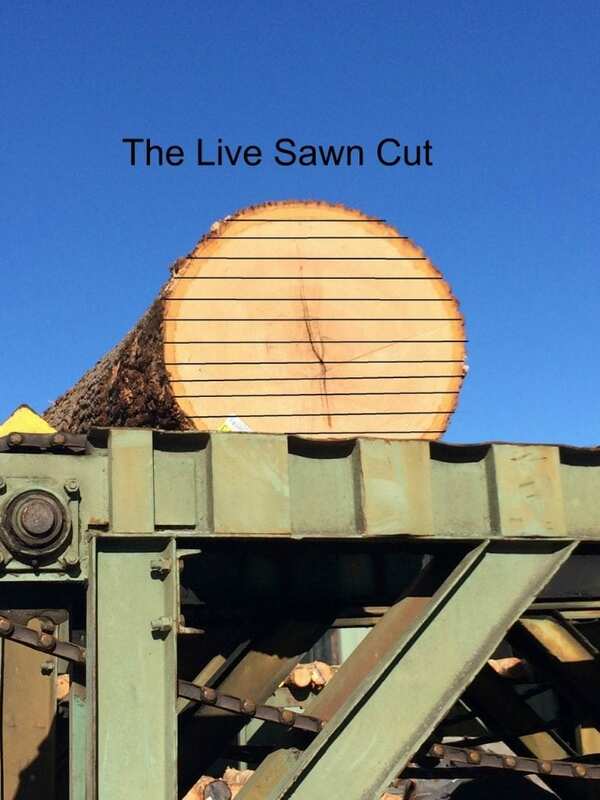 The live sawn cut offers the best resource utilization of all the saw cuts. It conserves the majority of the log with very little waste. Superior resource utilization is one reason why this cut was so popular in the old days. Waste not, want not. 4. Live sawn White Oak wood floors work with modern and traditional interiors. Live sawn White Oak wood flooring in a new timber frame home. 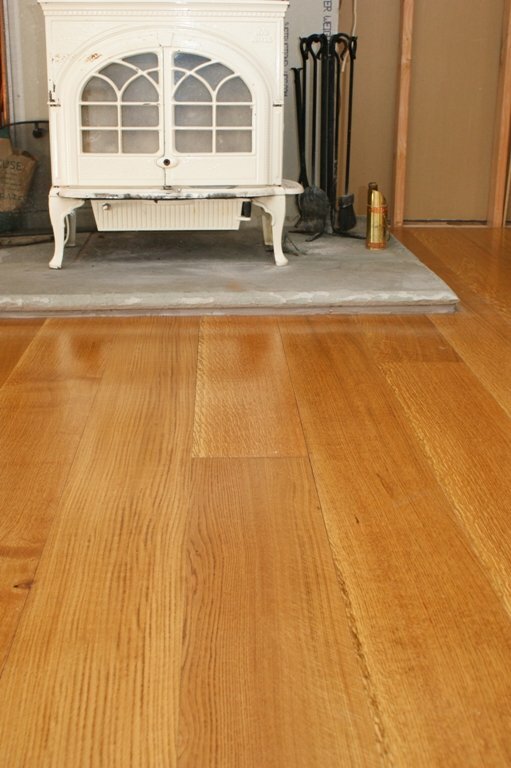 Live sawn oak floors are a classic flooring look that adds a welcome organic element of wood and warmth to any interior. 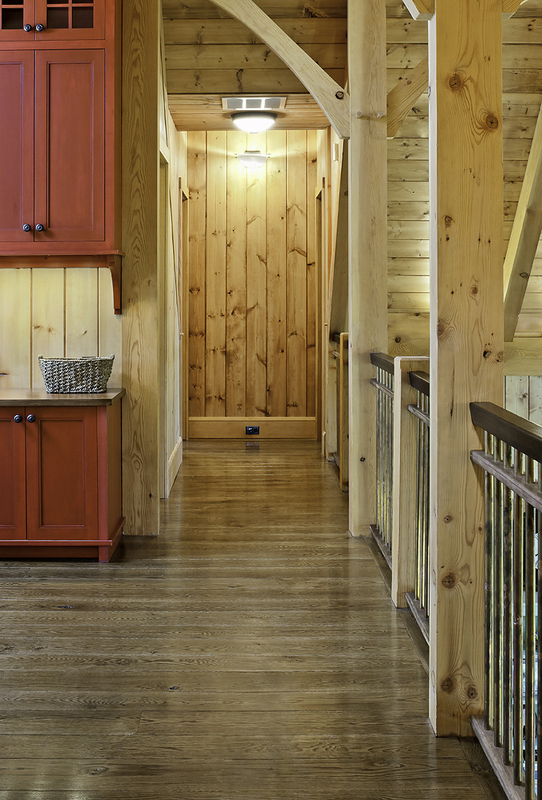 Browse photos of our live sawn wood floors in a variety of interior styles. Live sawn White Oak floors offer one of the best values in wide plank flooring. They are an affordable luxury compared to their close cousins, rift and quarter sawn floors. 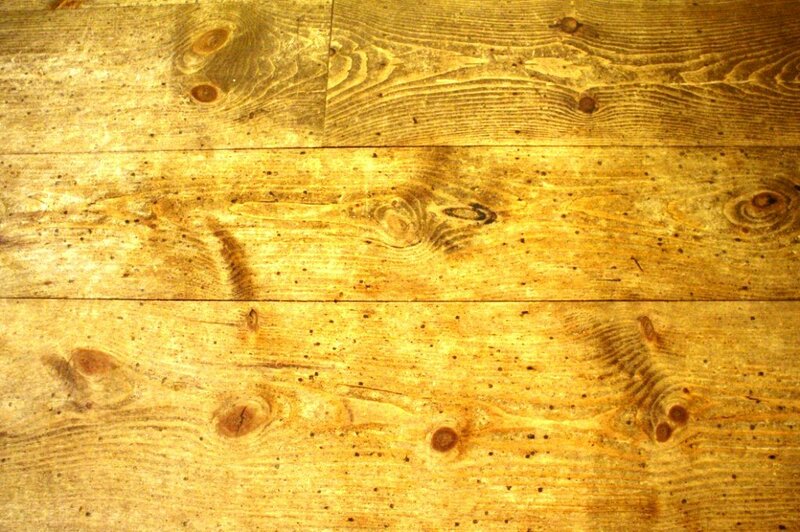 (Rift and quartersawn floors result in a higher waste factor so they are more expensive.) Live sawn floors offer a very wide plank floor with the stability of quarter and rift sawn floors at a fraction of the price. We hope you’ll stop by the wide plank flooring showroom at our Connecticut sawmill, or have a sample mailed to you. We ship our floors nationwide. Give us a call today at 1-800-928-9602 to order a sample and request a quote – or email us. You can also visit us online at www.hullforest.com. Hull Forest Products, southern New England’s largest sawmill and woodland management service, is participating in four family-friendly educational events this fall that highlight sustainable forestry in New England. We hope you will join us to learn about working forests and the many benefits they provide to our region! 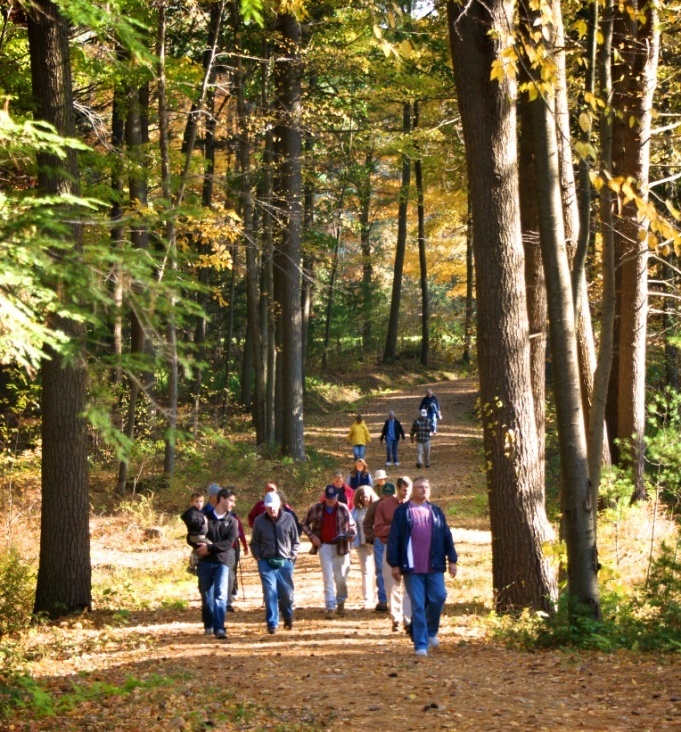 Each fall the Hull Forest Products forestry division offers guided woods walks of woodlands managed by Hull Forest Products to help teach the public about working forests and sustainable forestry. Hull Forest Products will be at Celebrating Agriculture Day at the Woodstock Fairgrounds, September 22, 2018. Celebrating Agriculture Day, Saturday September 22, 2018 9am – 3pm at the Woodstock Fairgrounds in Woodstock, CT. Celebrating Agriculture Day started in 2001 as part of an effort to promote community education and participation in agriculture, as well as to support consumer purchasing of local farm products. Each year, the goal is to welcome more people to learn who our farm neighbors are, and how to support local agriculture to enrich and maintain the open space — the working landscape — of our area. Hull Forest Products will be on hand with information about working forests and how they provide many public benefits. We’ll also have samples of our USA-made wood flooring on display. The Massachusetts Outdoor Expo (The Big Moe), Sunday September 23, 2018 at the Hamilton Rod & Gun Club, Sturbridge, MA from 9am -4pm. Free admission, free parking. With over 45 outdoor activity stations ranging from building bird nest boxes (with pine lumber donated by Hull Forest Products) to archery, shotgun, fishing, and wilderness survival skills, this is a great event for the kids. Family Forest Tour, from 10 am – 11:30 am on Saturday October 13, 2018 at 68 Ballamahack Road, Windham, CT. Join Hull Forest Products foresters Chris Casadei and Michelle Wood as they lead a two-mile walk at the Andrychowski Family Forest, a 100-acre property that has been actively managed for timber production for over 40 years. Participants will learn about recent forest management practices on this working landscape and observe several different forest types, evidence of colonial settlement. and beautiful views of the adjacent Lake Marie on the Joshua’s Trust property. Directions: From Route 14 take Ballamahack Road 200 feet past mailbox #68; the road turns sharply left; park in the field on the right at the sharp turn. For more info. contact Hull Forest Products (860) 974-0127. 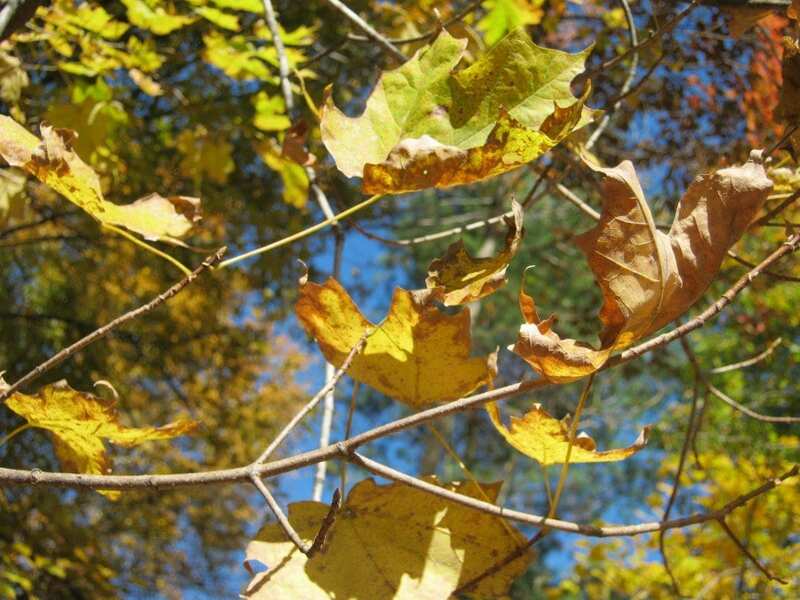 Hatchet Hill Hike, from 1:30-3:30 pm, Sunday October 21, 2018 at 1914 Eastford Road (Route 198) Woodstock, CT. Join Hull Forest Products forester Mike Bartlett for a guided 1.5-mile woods walk in the Walker Family Woodland, which has been managed for recreation, wildlife, and forest products for over 60 years. This walk includes interesting geological features and one of the best scenic vistas in the Last Green Valley. Directions: The forest is located on the west side of Route 198, two miles north of the intersection of Routes 198 & 197. For more info. contact Hull Forest Products (860) 974-0127. 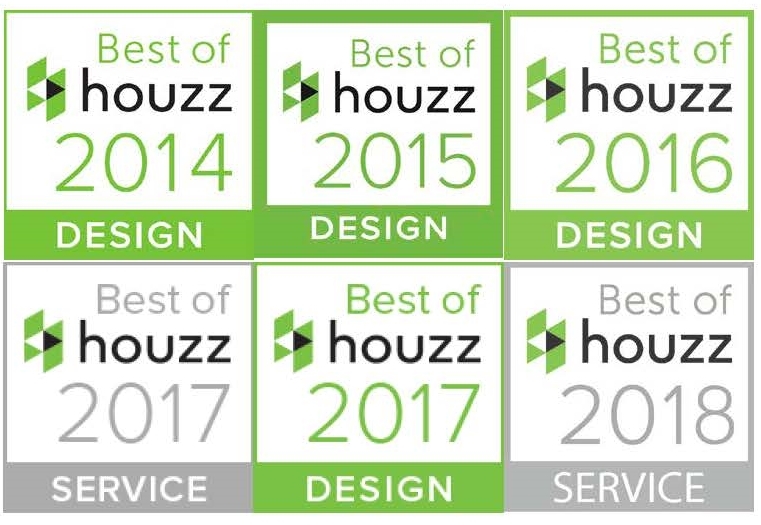 Hull Forest Products just earned the “Best Of Houzz 2018” customer service award – the company’s sixth award in a row from Houzz.com, the leading platform for home remodeling and design. “We’re delighted to recognize Hull Forest Products among our “Best Of” professionals as judged by our community of homeowners and design enthusiasts who are actively remodeling and decorating their homes,” said Liza Hausman, vice-president of industry marketing for Houzz. Follow Hull Forest Products on Houzz or browse our wood floors at hullforest.com. Comfortable as your favorite blue jeans, you’ll love our rift and quartersawn White Oak floors. This photo is from a customer home in East Hampton, New York. 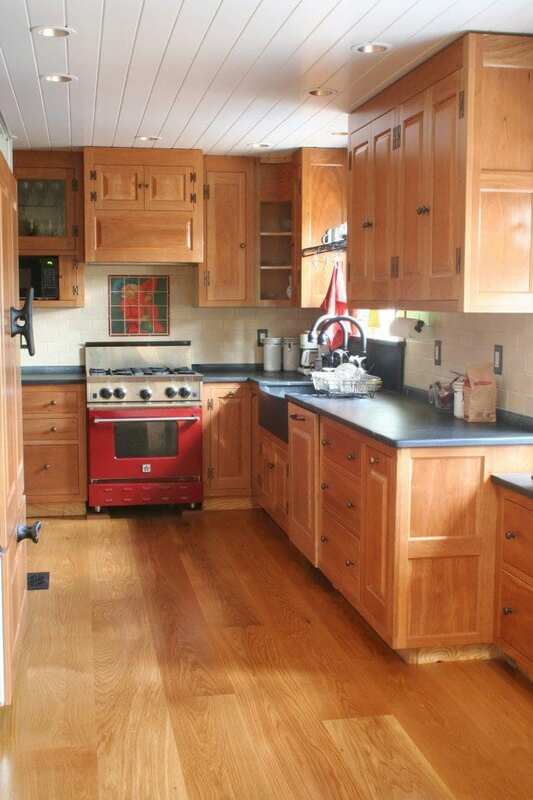 The stain used on the floor was a Minwax blend – 6 Golden Oak to 1 Honey. 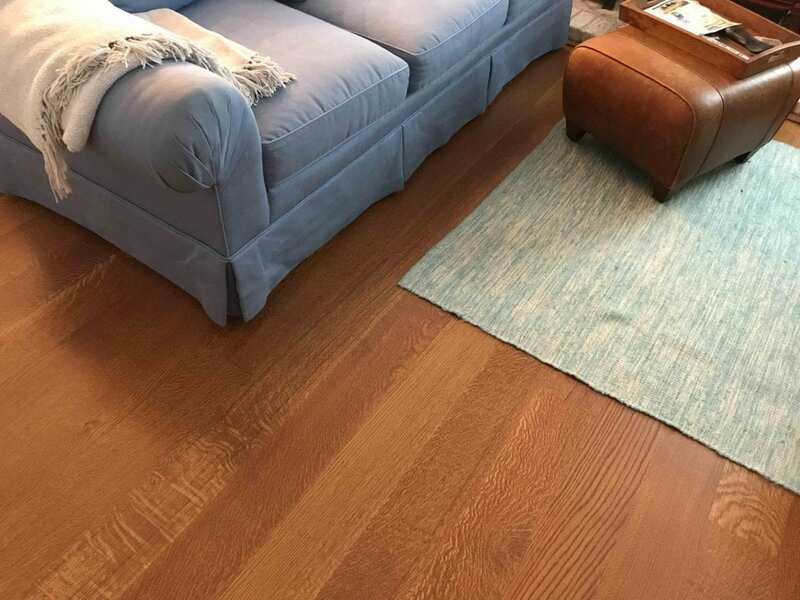 For those of you interested in quarter and/or rift sawn wood floors, we’ve put together this post to show off some of the quarter and rift sawn wood floors we’ve made for clients lately. 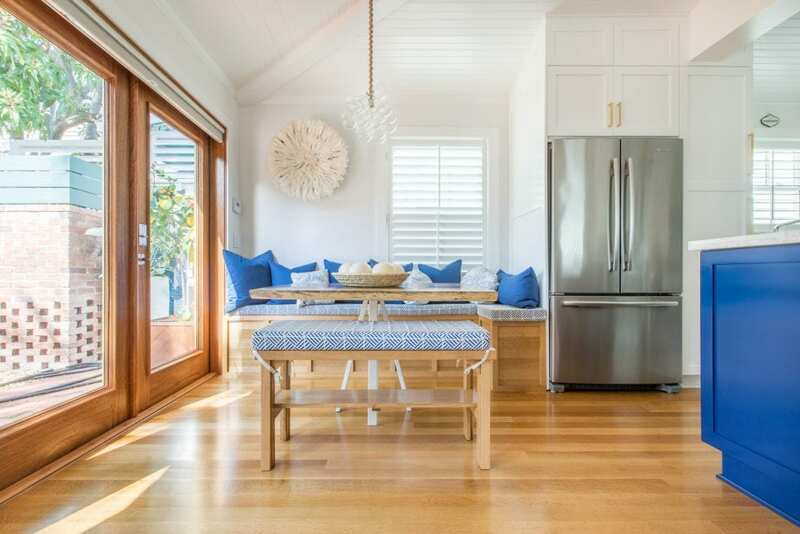 White Oak select grade quarter and rift sawn custom wood flooring we made for a beach home in Key West, Florida. This floor has a clear poly finish. 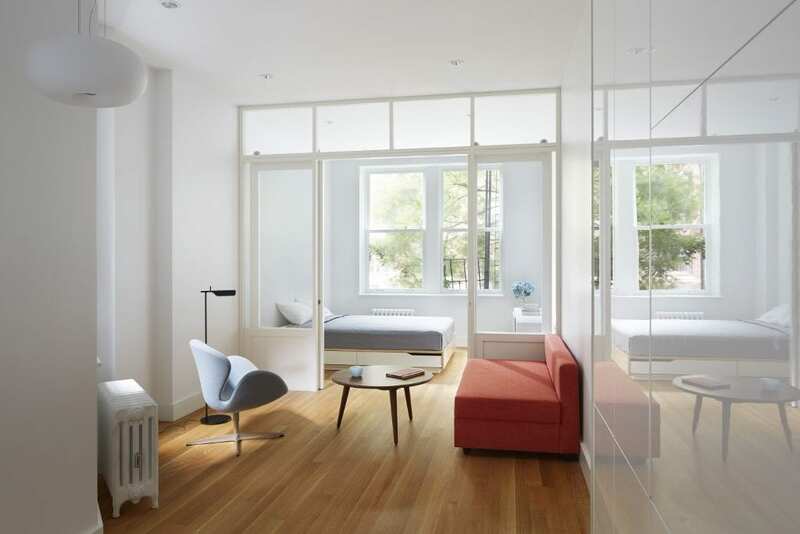 Our rift and quartersawn select grade White Oak flooring in a Greenwich Village apartment, featured in Dwell Magazine. There is something very classic and comfortable about rift and quartersawn White Oak that makes it work with many decorative styles, from minimalist (as show in the Greenwich Village studio (above) to this more traditional Long Island home (below). Our select grade 8″ wide quartersawn White Oak floorboards in a Setauket, Long Island home. This floor has a light brown stain and a Sutherland Welles Murdoch tung oil finish. At our sawmill, when we quarter and rift saw a log for flooring, we first quarter the log, then we slice into it, as show in second and third images of the diagram below. Exhibit 1: Types of saw cuts and the look of the grain that is revealed on the face of the boards. Notice that the live sawn cut, which cuts straight through the log, contains all three grain types. As a result, the radial and vertical grain of the wood is revealed instead of the tangential grain. The rippled figure and flecks of medullary rays that you see in quarter sawn wood (second image from the left in Exhibit 1, above) are highlighted when the wood is cut this way. These ribbon-like cellular structures run perpendicular to the growth rings, and they are responsible for transporting nutrients to the tree via sap. Close-up view of our quarter and rift sawn blend wood flooring, select grade, with medullary rays visible at top and bottom and rift sawn grain visible in the center. In contrast, the rift sawn cut delivers grain with a very straight, uniform appearance and none of the wavy fleck, as shown in the photo below. Rift sawn select grade White Oak has grain that is mostly straight and uniform, with none of the wavy fleck. We can make you with a floor that is all quarter sawn grain, all rift sawn grain, or a blend of the two, which is a very popular look. One of the benefits of quarter and rift sawn wood, besides the different grain pattern, is extreme dimensional stability. This makes quarter and rift sawn wood floors ideal for demanding installations, such as over radiant heat. This Gramecery Park apartment features our rift/quarter sawn select grade wood floors, darkened with a Jacobean stain. 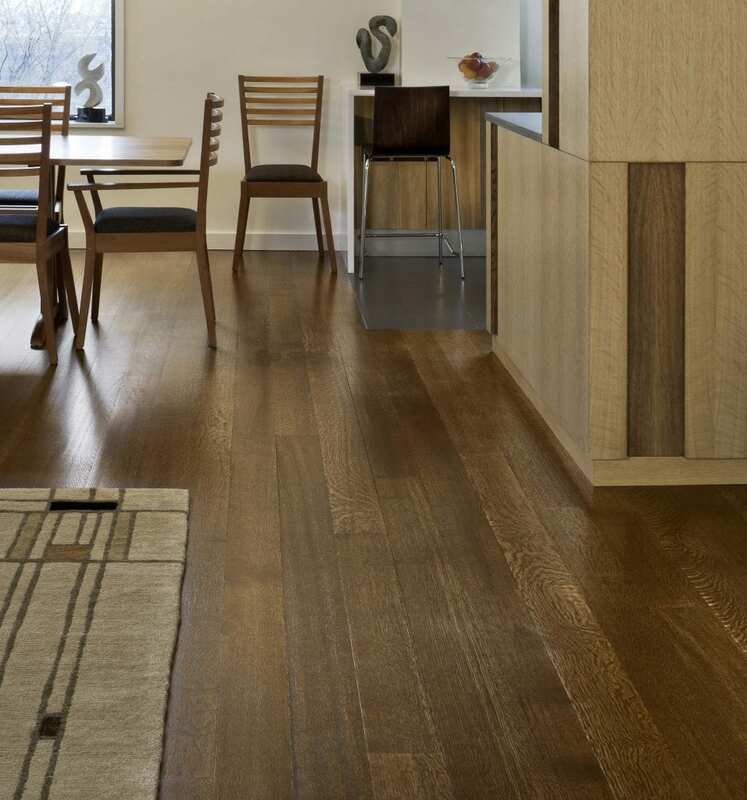 Upper East Side apartment with our rift and quartersawn select White Oak flooring. Another way to change up the look of a quarter and rift sawn wood floor is to use a grade with character markings like the floor shown below. Rift and quartersawn White Oak with knots, character markings, and skip planing has a vintage look and feel. Visit our White Oak gallery and click on any photo to get specification and pricing information for any of our floors. Have questions about our floors? Give us a call 1-800-928-9602. Clients came to architects David Burdett and Stefanie Werner of DAS Studio in NYC with a design dilemma: their lakefront house did not take advantage of the property’s views. And the building was divided into many small rooms, creating awkward spaces that were not functional for contemporary living. The clients wanted a clean, light, and modern aesthetic, but they also wanted to pay tribute to their home’s rural setting and past. The solution that DAS crafted involved gutting the house to create new, larger interior spaces that maximized the lake views. 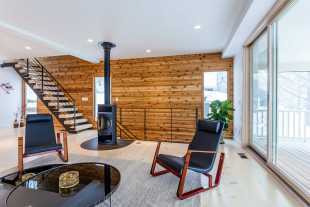 To honor the homeowner’s modern aesthetic while simultaneously acknowledging the home’s rural location, they came up with the idea to use a very traditional wood floor, wide plank pine flooring, but to finish the floor with a white stain for a light, clean, modern look. 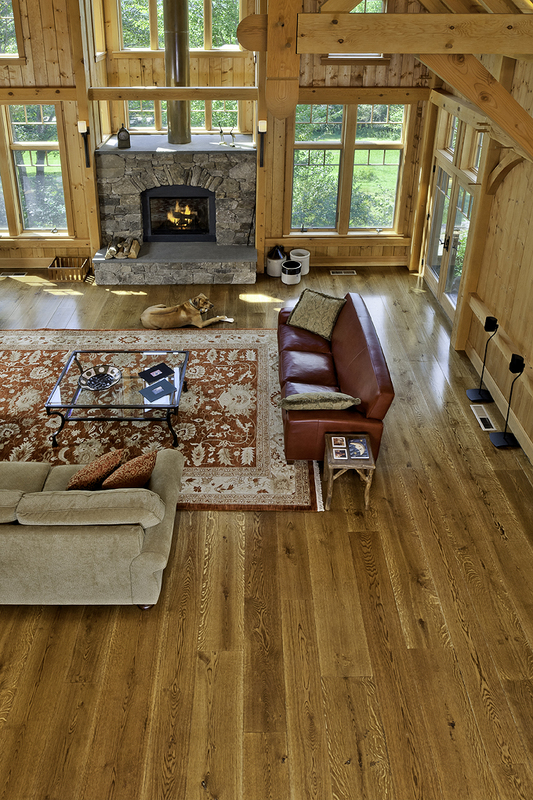 The homeowners, who were both actively involved in researching and selecting the products used in their home, turned to a local sawmill, Hull Forest Products in Pomfret, Connecticut, to make their wood floors. 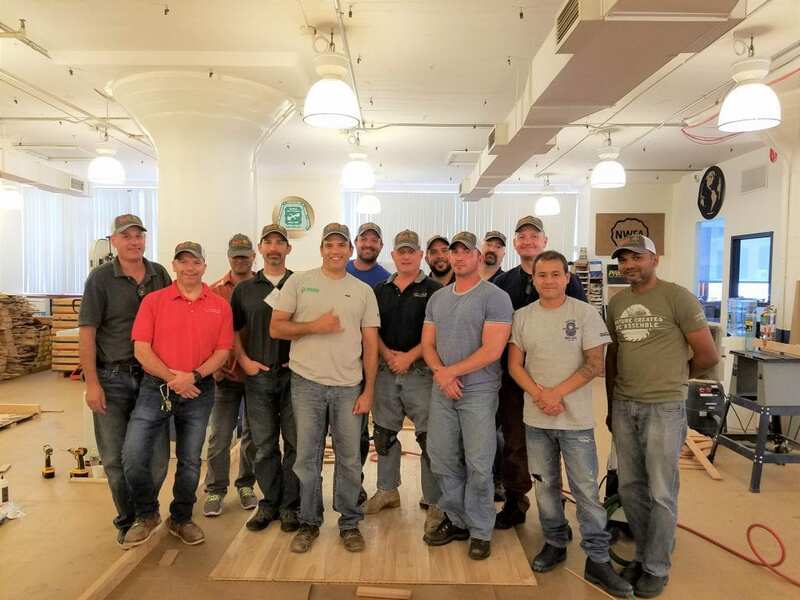 Hull Forest Products, which ships its floors mill-direct nationwide, was able to supply wide pine floors up to 19 inches wide with plank lengths of 12+ feet. To achieve the look shown above, the floor was stained with one coat of Duraseal Country White. Then the floor was lightly buffed and sanded, and another coat of Country White was applied. The floor was then finished with four coats of Duraseal Traffic water based poly, satin finish. 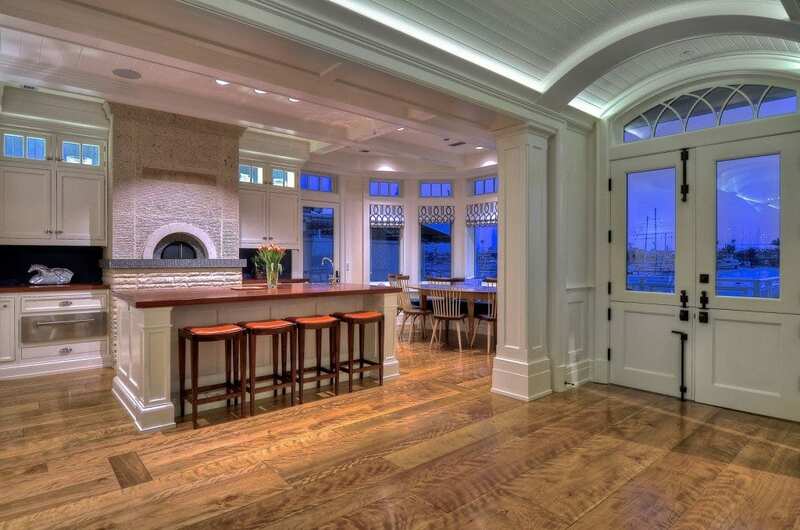 The grain pattern of the pine floors and the white coloring were a perfect match to the project’s design criteria. The completed house, with work done by West Mountain Builders of Washington, Connecticut, displays the successfully executed design and vision in every photo. As Burdett says, “It is a contemporary renovation of an older house, working with existing proportions and heights to achieve a contemporary living space that is respectful of the original house.” The home is a poster child for how to reconfigure an old house to be a gracious and suitable host for a whole new generation. Looking for a modern kitchen that’s also cozy ? Consider adding wood flooring. 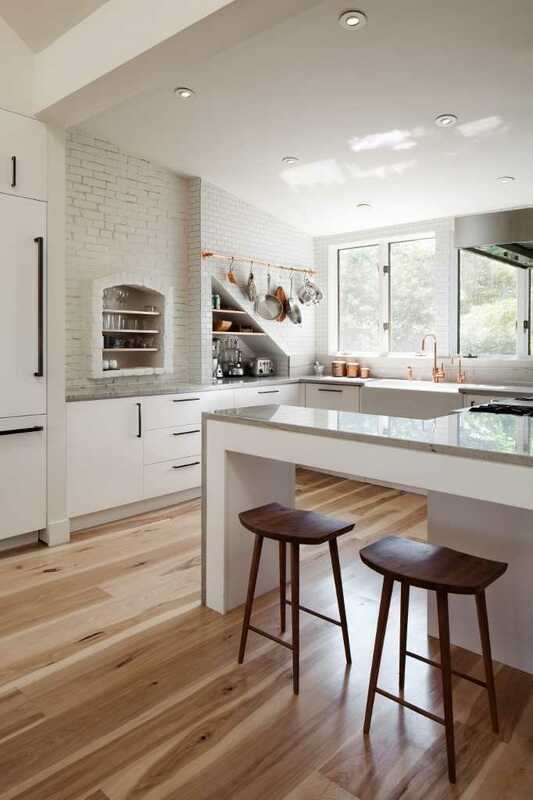 For a primer on how to warm up an industrial space with warm wood tones, check out this white kitchen in Boston’s South End. 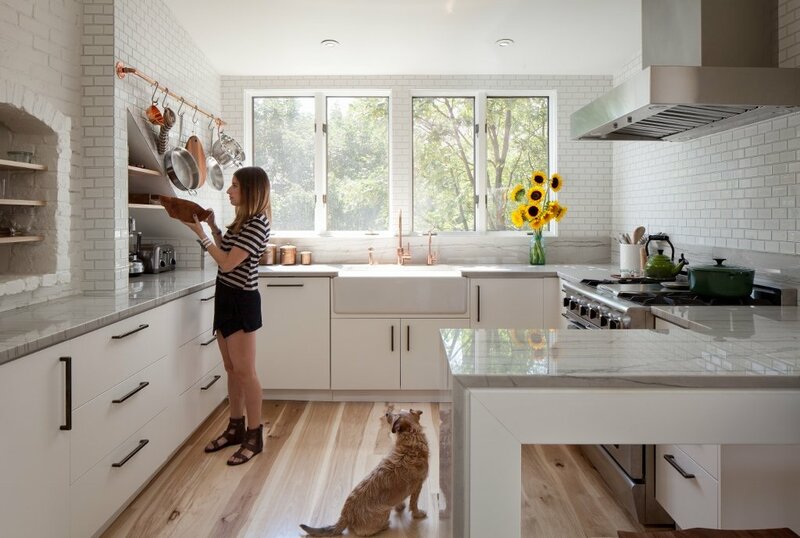 The cooler elements (white brick, white macaubus quartzite, white cabinets) juxtapose with the warm variegation of the Hickory wide plank floors, upping the cozy factor. The copper faucet and pot rail add another warm element. 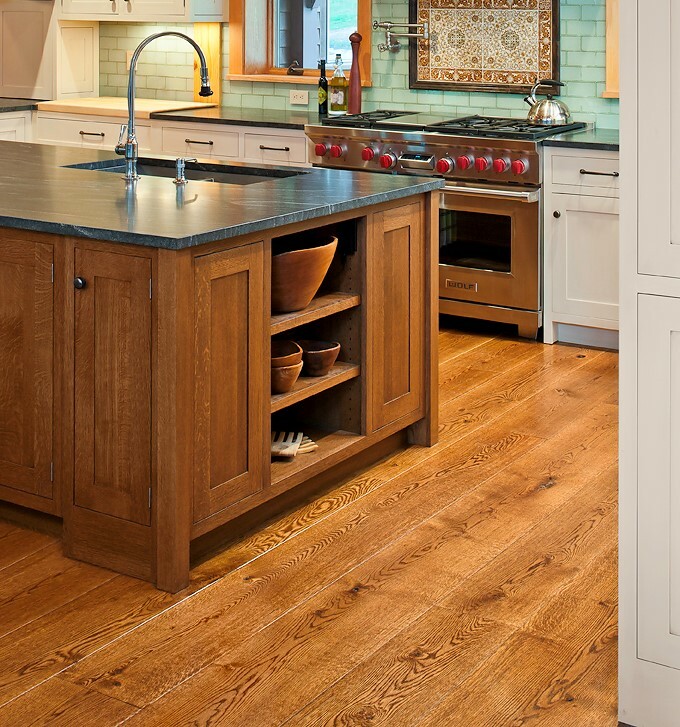 The homeowners chose the Hickory wood floor because its character and color added a rustic element to their space. They also wanted a durable wood that would hold up well for their family, which includes two dogs. Photo by Matt Delphenich Architectural Photography. Chris Greenawalt of Bunker Workshop in Charlestown, MA, transformed the space’s quirks, including an old pizza oven and a triangular shaped alcove, into functional shelving (made from leftover hickory flooring) and extra storage space. With no upper cabinets, the space is open and filled with natural light. American Hickory wood flooring with grain and color variation contrasts beautifully with the white elements, adding warmth and life. Photo by Matt Delphenich Architectural Photography. 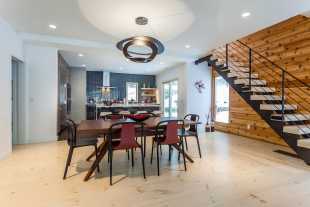 The homeowners used Hickory flooring throughout to add a warm lived-in feel to an otherwise industrial and modern space and help pull the look together. The warm toned wood continues up the stairs with modern square edge and square ended Hickory treads and risers laid over white painted wood. The high color contrast between the light sapwood and the darker heartwood in the Hickory flooring and stairs adds texture and warmth–like a cozy blanket–preventing the space from feeling stark. 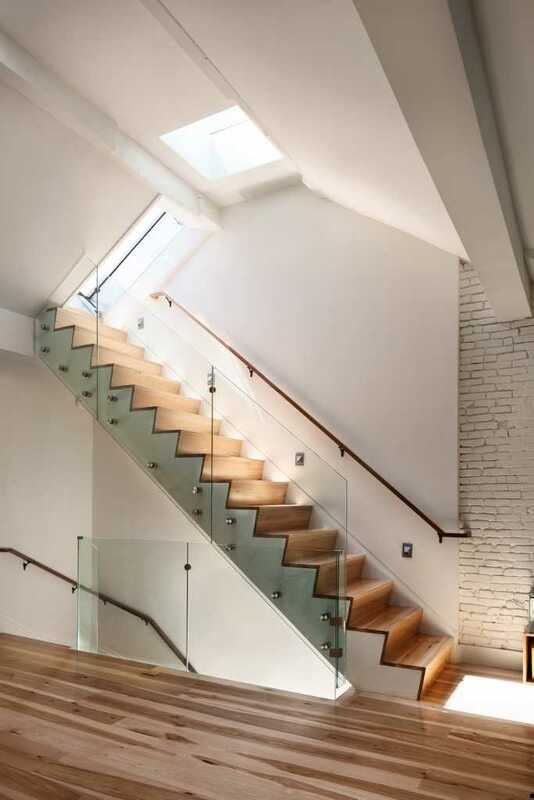 Hickory stair treads and risers with square edges and ends make a decidedly modern profile. Applied over a white background, they draw the eye up. Photo by Matt Delphenich Architectural Photography. The original stairway in the home was traditional, and the homeowners wanted to modernize it, but due to building codes, they could not change the footprint of the original steps. Together with their c0ntractor, Michel Beaudry, and their architect, Bunker Workshop, they devised a zig-zag pattern that ensured each tread was the same size as it had been previously, but with a modern line and no overhanging nosing. Hull Forest Products custom milled the Hickory treads and risers to their specifications. The wood flooring and stair parts shown in the photos above are Hull Forest Products’s natural grade Hickory, with knots and color variation, finished with a water based poly. No stain was used. Some of the knots were defected out by the installer to create a cleaner look that is closer to a premium rather than a natural grade floor. This apartment has been featured in The Boston Globe, Apartment Therapy, and The Anatomy of Design. This fall Hull Forest Products is offering four free and fun events for the whole family that celebrate Connecticut’s working forests and locally grown wood products. We hope you can join us for one of these guided woods walks or for the Hull Forest Products sawmill tour, where you can watch us turn locally grown wood into beautiful and durable wood flooring and lumber. The North Brookfield Town Forest is being managed for multiple uses, including recreational opportunity, wildlife habitat, and the long-term production of forest products. Join us for a walk on the 45-acre town forest owned by North Brookfield, Massachusetts, and learn how long-term forest stewardship can be applied to manage land for multiple uses and benefits, including recreation, income, and renewable energy. Hull Forest Products currently manages this land, and through the use of whole tree chipping, much of the low quality and traditionally non-merchantable timber has been removed and utililzed to produce renewable energy, while improving the conditions in the forest. The property is being managed for recreational opportunity, wildlife habitat, aesthetic beauty, and the long-term production of forest products. Part of the forest is being turned into a woodland park for town residents to fish, walk, and picnic. This is a one-mile loop walk over moderate terrain. Leashed dogs are welcome. Date/Time: Saturday October 3rd, starting at 10 am. Location: 20 West Brookfield Road (Route 67) North Brookfield, MA, 01535. Signs will be posted. View of Myers Pond and fall foliage at Hull Forestland’s Myers Pond Forest, Union, CT.
Join us for a 2-hour 2-mile guided tour of Hull Forestland’s Myers Pond Forest, formerly the summer home of Yale Forest founder George Hewitt Myers and today the only private inholding in the Yale Myers Forest. 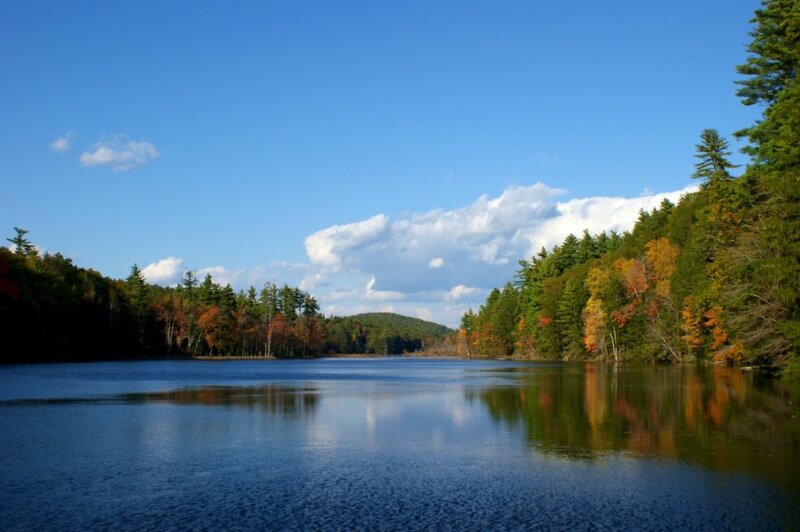 Learn about the man behind the Yale-Myers Forest and how he worked to put together this most remote of Connecticut’s forested areas. See the site of the Myers home and family cemetery. This walk will be led by Hull Forest Products forester Mike Bartlett, who has received the “Mr. Walktober” award from TLGV for hosting over a thousand Walktober participants in his 15 years of volunteering for Walktober. The tour will focus on sustainable forestry, how woodland management can improve bird habitat, and the life and times of George Hewitt Myers. Leashed dogs are welcome to accompany hikers. We hope you can join us! Location: 159 Kinney Hollow Road, Union, CT. Look for the Hull Forestlands sign. 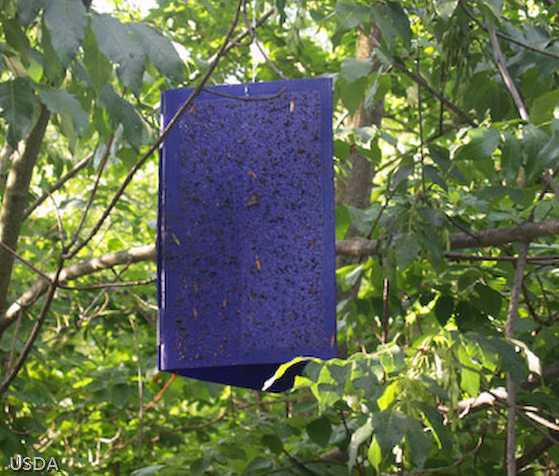 This purple trap is designed to attract and trap the Emerald Ash Borer, an invasive pest that feeds on Ash trees. The Emerald Ash Borer is in Connecticut, and there is a now a quarantine affecting the movement of Ash materials and firewood out of Connecticut. Photo courtesy of USDA. Join licensed forester Chris Casadei for this 2-hour 2-mile guided tour of the 170 acre Wilford Farm forest; participants will get to view and discuss recent woodland management activities including an improvement thinning and an Ash sanitation harvest designed to pre-emptively salvage Ash trees before the arrival of the Emerald Ash Borer, an invasive pest that has infected Ash trees across Connecticut. The Wilford Farm woodlands have a history of active forest management since the old farm was disbanded, and they comprise a rolling landscape with a vast network of streams and wetlands as well as excellent wildlife habitat. Moderate terrain. Leashed dogs are welcome to accompany hikers. Location: Willington, CT. From Route 74 head south on Parker Road, take a left on Cowls Road, then left on Busse Road, and left on Meadow Lane. Follow Meadow Lane to the end. There is plenty of parking in the cul-de-sac. Tour a modern a sawmill and lumber manufacturing facility and learn how locally grown trees are sustainably harvested and milled into lumber for flooring, furniture, post and beam timbers, railroad ties, pallets, and more. Watch as logs are transformed into lumber before your eyes. This is a great “how it’s made” type of tour that the whole family will enjoy. Tours take approximately one and a half hours and are an easy .4 mile walk. “Many, many thanks for the wonderful tour of the Hull Forest Products facility. I was impressed beyond words. To see hardwood timber–right off the logging truck–being transformed with sophisticated computer-controlled milling machines into finished product right before my eyes was truly amazing. 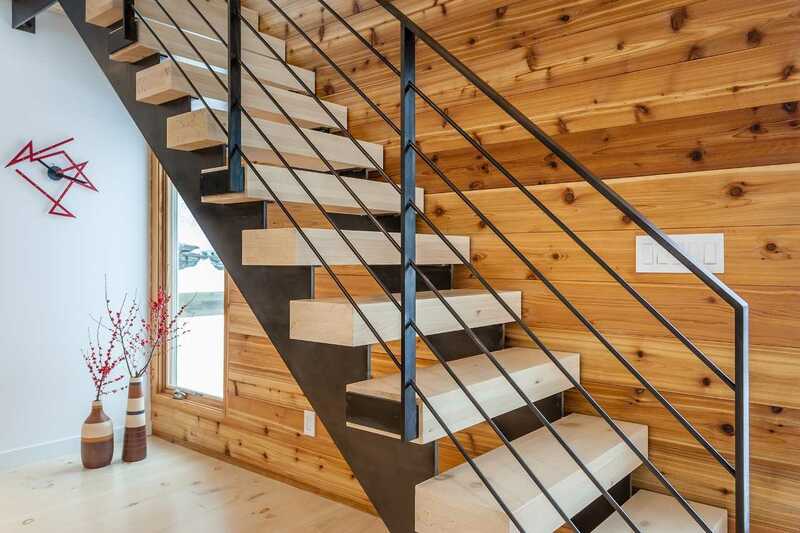 This process must be experienced firsthand to really appreciate the enormous effort required to deliver such a diverse array of wood products from railroad ties to wide plank flooring. 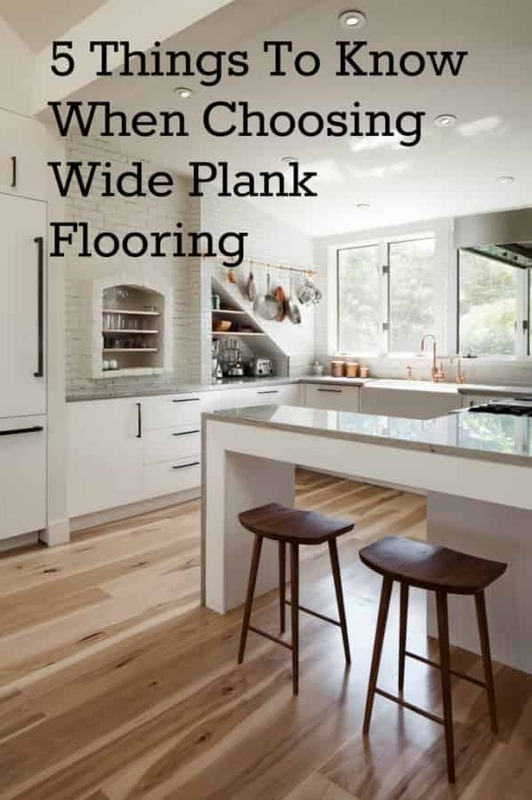 Choosing wide plank flooring? Here are five points to keep in mind. 1. 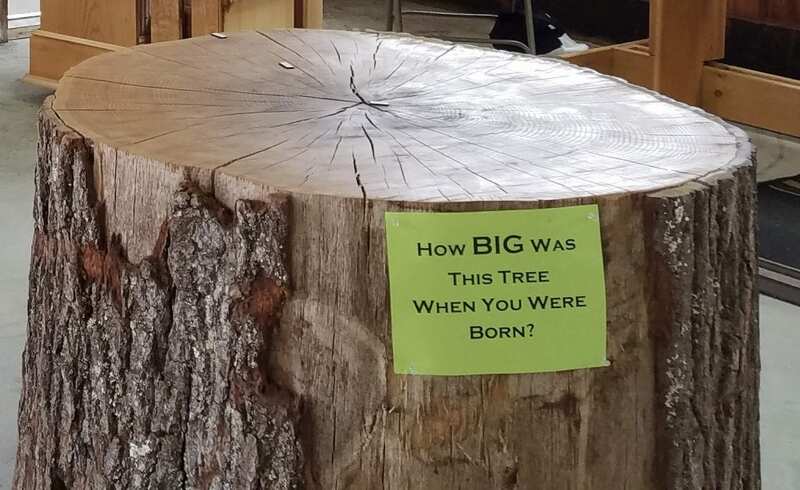 Know the size of your project. When choosing wide plank flooring, first estimate the square footage you will need based on your room’s dimensions, then add 10-15 percent, depending on the shape of the rooms. Your sawmill or supplier will need to know your square footage needs to determine whether they have enough material in inventory to process your order ASAP. Also be sure your site conditions are appropriate for wood flooring (for example, installing solid wood floors below grade is not recommended). Don’t get too hung up on the color of a particular floor you see in a photo, as the same wood can look very different depending on the finish you choose. 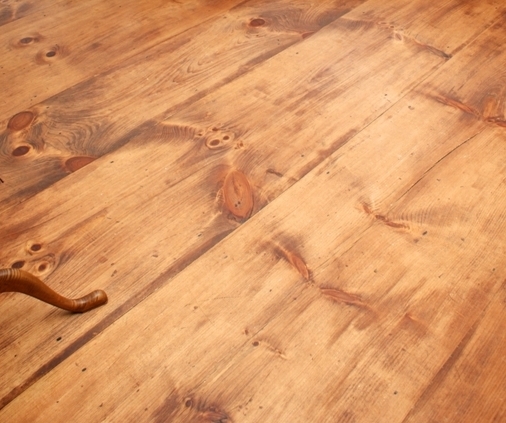 Applying a stain can also change the color of a floor dramatically. You may want to experiment with different finishes to make sure you get the look you like best. At our sawmill, Hull Forest Products, we offer free unfinished samples – just go into one of our species galleries, click on a photo, and select the “more details” button to order samples of any floor. Figure 2, below, shows the range of coloration between various types of clear satin sheen finishes. 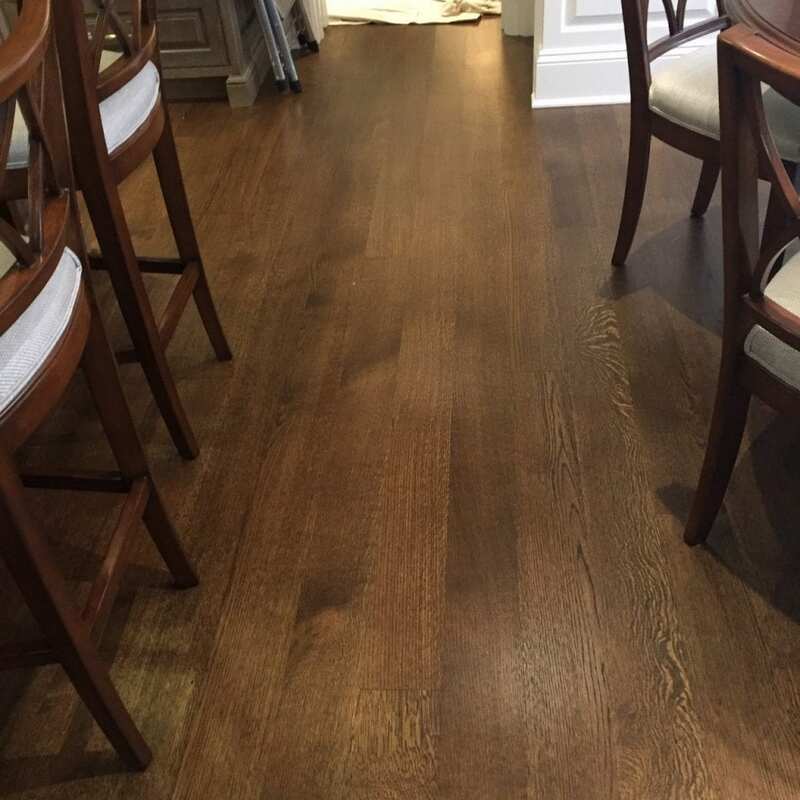 The finishes were applied to samples of our unfinished Select grade White Oak flooring. Figure 2: Note the color variation between these different types of clear satin sheen finishes when applied to identical planks of our select grade White Oak. From the left: Bona Mega Waterborne satin finish, Lenmar polyurethane oil-based satin finish, Sutherland Welles tung oil satin finish, and Waterlox tung oil satin finish. 3. Consider grades of wood when choosing wide plank flooring. 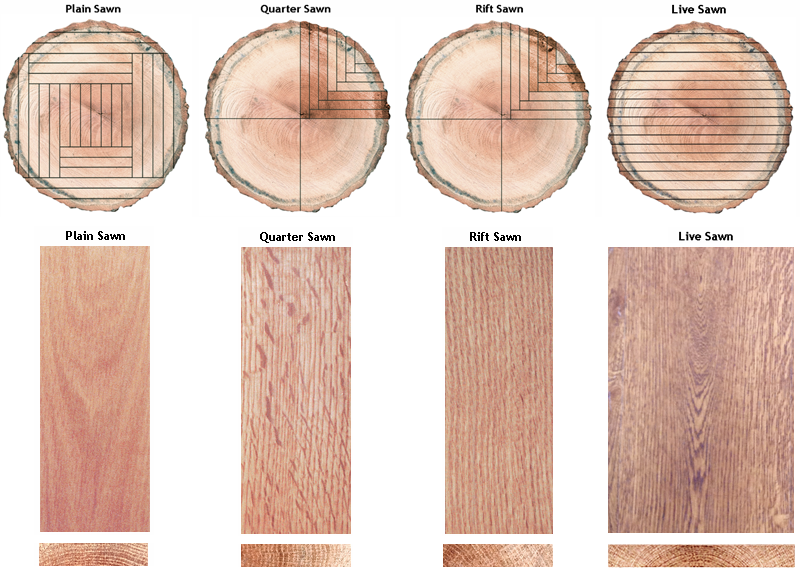 Once you’ve decided on a species of wood, you’ll have a choice of grades within that species. All of our flooring grades perform well; the grade is purely a matter of style and cost. We call wood with clear grain and few to no knots “Select” grade. Wood with natural character markings like knots or bark pocket is called “Natural” grade. Premium grade is a midpoint between these two grades. 4. Consider plank widths. Plank widths affect the price of your floor and they have a big visual impact as well. Choosing a range of plank widths (known as “random widths”) is less expensive than requesting floor boards that are all 7″ wide, for example. This is because the material does not have to be sorted as much or ripped to 7 inches. Figure 3, below, illustrates the look of a floor with random widths. The plank widths are a mix of 9-14 inches. Figure 3: Live sawn White Oak flooring from Hull Forest Products, in random plank widths of 9-14 inches. Compare the look of the random width floor boards in Figure 3 to the floor shown in Figure 4, below, which features plainsawn White Oak floor planks that are each 10 inches wide. This gives you an idea of the visual impact of random widths vs. equivalent widths. 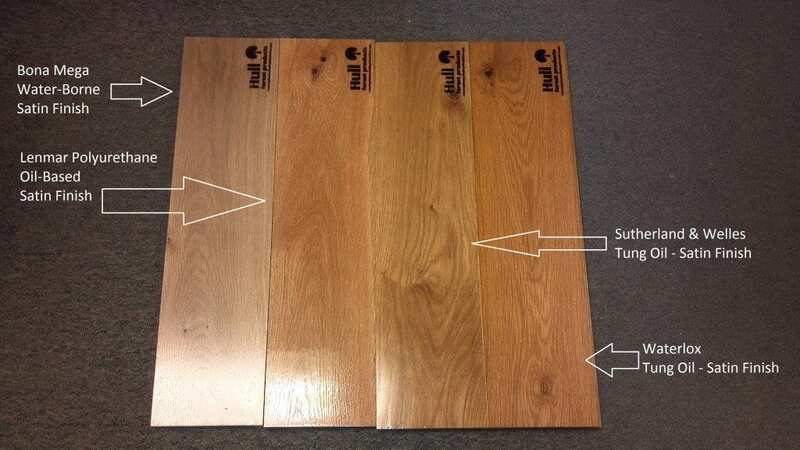 Figure 4: Select grade plainsawn White Oak wide plank flooring from Hull Forest Products, all 10 inch wide planks, with a satin sheen poly finish. 5. Do you want unfinished wood flooring or prefinished wood flooring? In some cases, such as an apartment in a high rise that doesn’t allow on-site wood finishing, this question may already be answered for you. It may depend on whether you are building a new home or already living in an existing one. The up-front cost of prefinished flooring is higher. On the other hand, if you are hiring a professional to finish your floor on site, there is a cost and an inconvenience factor associated with that, too. Some people prefer the look of a site-finished wood floor because it will have a snug, square edge with no bevel, compared to a prefinished floor, which will have a slight microbeveled edge on the long sides of the planks. You also have a greater range of finish options when site-finishing your wood floor. It’s up to you, so weigh your options. As always, we are here to answer your questions! Happy browsing, and when you’re ready to find the perfect wood floor for your home, give us a call or send us an email. 1-800-928-9602 Browse wide plank wood floors anytime at hullforest.com. Figure 1: Newly sawn Eastern White Pine + a custom stain + pure tung oil for a matte finish = an antique looking wide pine floor, from $5.05/square foot. The homeowner used our premium grade wide pine, stained it with hoodfinishing.com’s “burnt umber” wiping stain (that had been thinned with a reducer) then applied several coats of pure tung oil (from realmilkpaint.com) that was thinned 50/50 with mineral spirits. The result was this beautiful low-luster matte finish. The first floors we milled at Hull Forest Products nearly fifty years ago were wide pine floors, and wide plank pine continues to be one of our best selling wood floors for kitchens and other rooms. New England homeowners (and many others with antique, farmhouse, or period inspired homes) love traditional wide pine. There is something about the width and length of the planks, the large sound red knots, and the patina that develops that makes a wide pine floor charming. The floor has an heirloom quality. Customers often come to us looking for a floor that emulates the look and feel of old pumpkin pine or heart pine at a reasonable price, so we show them how our clients have chosen to finish their new wide pine floors to mimic the look of an antique floor. See Figure 1 above for an example, and check out our pine flooring gallery for many others. Some of you may be familiar with the living history museum, Old Sturbridge Village. They used our wide pine floors for their Oliver Wight Tavern Building. If you get a chance to visit there, be sure to check out this floor (shown in Figure 2 below). It is an interesting example as it had no finish applied at all and has been left to weather the heavy public foot traffic in the buff. Figure 2: Our wide pine flooring in use at Old Sturbridge Village in the Oliver Wight Tavern. OSV applied no finish to the floor, preferring to let it age naturally. 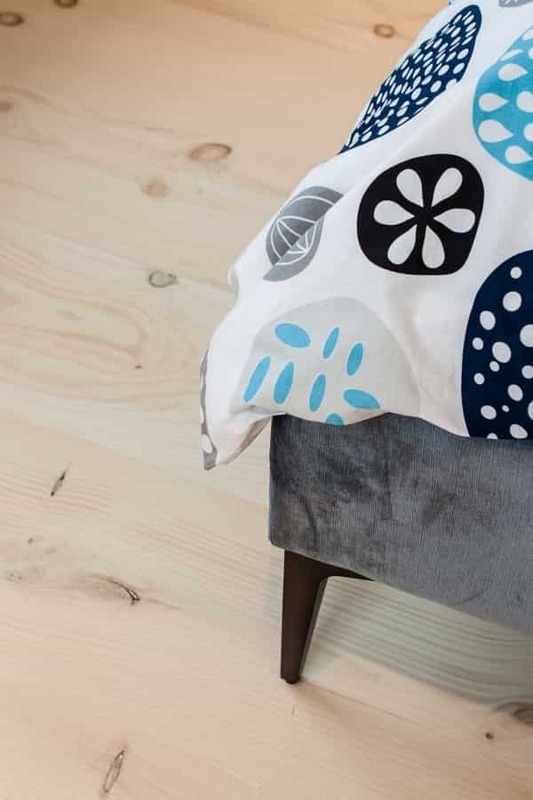 We source our flooring grade pine from the historic Myers Pond and Yale University Forests in Connecticut, harvesting only during the cold winter months so we get the best color retention. We mill our wide pine floors from logs predominantly twelve feet and longer, selecting for even growth and live red knots. Wide pine flooring lovers are often history buffs, so you may be interested to know that the Eastern White Pine tree played a role in the American Revolution. Because it grows so tall, Eastern White Pine has long been used for the masts of ships, and the British Navy tried to reserve the tallest White Pines in the colonies for the masts of British naval vessels. When an act to this effect was enforced in New Hampshire, it outraged the colonists. Though forbidden to cut “any pine tree of the growth of 12 inches of diameter,” it became unfashionable to have floorboards in one’s home that were less than 12 inches wide. In 1772 a sawmill owner in Weare, New Hampshire was arrested and fined when white pine logs with the king’s broad arrow mark were found at his mill. He and a group of about 40 townspeople rioted, attacking the sheriff and his deputy and literally running them out of town in what became known as the Pine Tree Riot. This act of rebellion against British authority was an inspiration for the Boston Tea Party, which took place the following year. 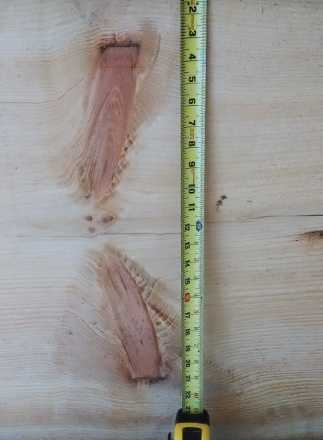 Figure 3: This 24″ Eastern White Pine board came from a tree with an estimated age of 125-175 years; someone pruned the tree around the turn of the century and you can see that in the straight dark lines at the ends of the knots. Visit our gallery of wide plank pine floors for more information and to browse photos showing how the application of stains and/or finishes can change the look of a wide pine floor. For quotes or samples, email us or call 1-800-928-9602.